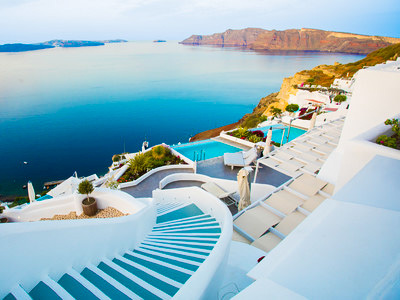 Greece is well-known as a land of monuments and sites of architectural wonder – reminiscent of one of the most fascinating eras of world history. 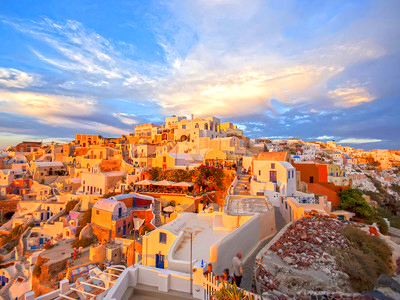 However, while this is indeed a perfect destination for those who yearn for an educational experience, Greece is also the home of mezze and ouzo, perfect for foodies. Rich with greenery and surrounded on three sides by sea, it is also ideal for the adventure seekers, watersports fanatics and nature-lovers. With so much to experience, a longer break may be necessary, as we can guarantee that by the end of your trip you just won’t want to leave! 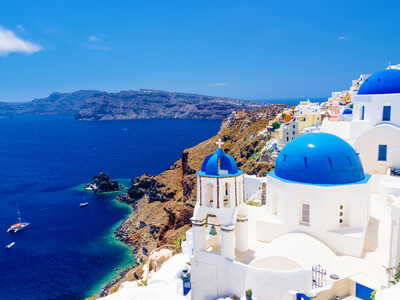 From the Parthenon and the Acropolis in Athens to the stunning underwater landscapes in Santorini just waiting for you to dive down and discover, Greece is a land of experiences. Explore the scattering of islands spreading out into the Aegean and Ionian seas, including the glowing golden sands of Crete. Treat yourself to a spot of unapologetically classy hedonism in Mykonos. Greece is the birthplace of the performing arts, so there is many an ancient sprawling amphitheatre awaiting a visit from creative pilgrims, but for those who prefer their culture up-to-the-minute, Greece has also been tipped as a brand new hotspot for dance and electronic music festivals! The Mediterranean landscape is also a hit with adventurers as there is a very active hiking scene just waiting for you to tap into. Challenges including the rolling 75 kilometre Menalon trail and, of course, the legendary Mount Olympus, said to be the home of the gods, offer more than enough excitement for those who love to push themselves to the limit! Surrounded by the glittering sea, you’re never far away from a sandy beach and an astonishing view when you choose to take one of many available 5 star holidays in Greece. 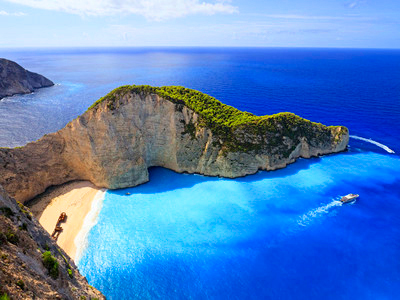 Due to the diversity of Greece’s topography, the climate is extremely varied throughout the country. 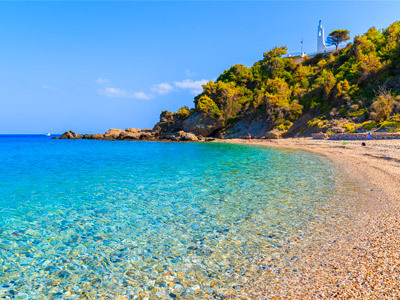 Famous for sunshine, Greece’s summer months between April and September are usually dry and hot, with the winter weather, between October and March, remaining mild but with a little more wet weather. However, there are rarely long periods of rain. You’ll find the hottest weather in the Greek islands throughout July and August, when temperatures usually sit firmly in the 30s. This intense heat is eased by Northerly sea breezes known as meltemi winds, so while it is strongly advised to stay out of the sun throughout midday, a little natural relief is often at hand. You want the opportunity to try something different every day!